The words HOLY and CRAP. Winter. Apparently he has arrived. And he wasn’t real gentle about it this time around either. Sometimes, winter kind of slinks in quietly. He hangs out in the back corner for a while and waits to be noticed. We might wake up one morning in December and there’s this light dusting of snow on the grass and trees and for a split second we all think, oh, how nice. How pretty. We may even find ourselves whistling Jingle Bells as we scrape the nice, light dusting off our cars and driveways. We think, wow, maybe this Winter character isn’t so bad after all. Well. Not this year. There was no easing into it this time. Winter is a December wallflower no more. He decided NOT to stand in the back corner and wait to be noticed, he was going to make his presence known. In a big, huge, downright shocking way. Especially since, just over a week ago, we had temps around here in the 50s. Nay a snowflake to be seen. 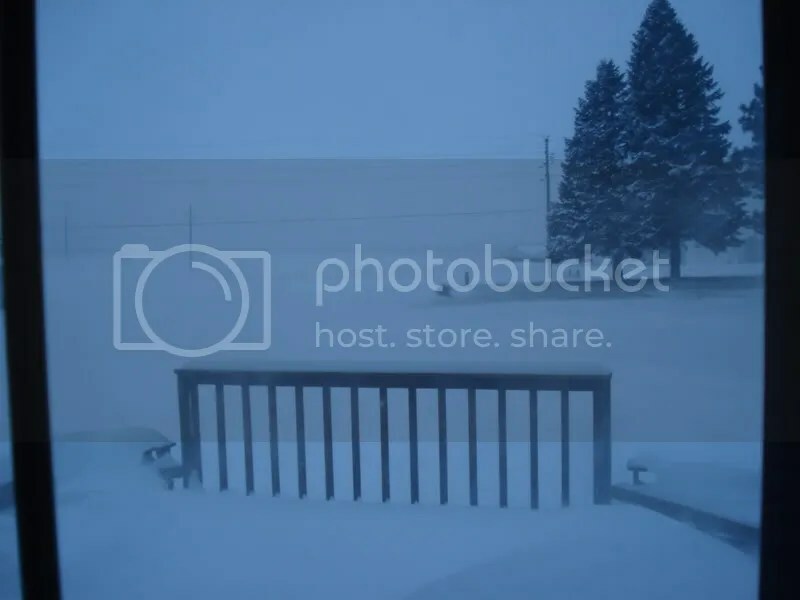 Blizzard 2009. This is going to be one of THOSE storms. One of those media hyped “Remember when? Where were you?” kind of storms. I predict by the weekend, we’ll start hearing the stories of blizzard babies nearly born in cars. And paramedics trying to reach the guy who keeled over in his driveway trying to shovel snow. Big, shocking snow stories like that.We all love those, don’t we. Yeah. Right. In other words, people will be talking about this one for a long, long time. Not necessarily because of the AMOUNT of snow (we’ve had this much snow before) but just because we’re pretty early in the season here and this bad boy has really packed a punch. The wind! The drifts! Oh my gosh, the drifts! We are snowbound in our neighborhood because of the drifts in the streets. In a nutshell, it’s bad. The plus side to all of this is, of course, the snow day. My office closed today. Eric had big plans to get to work but after attempting to clear off the driveway (and having the wind blow everything he cleared right back into his face) and watching our neighbor (who works for the same company) get hung up in a huge drift in front of our house, he decided not to be the hero and worked from home. It turns out none of his employees got in either. We had no choice but stay home. Anyway, I really loved these cookies. Chewy (chocolate cookie), crunchy (crushed hazelnuts), creamy(Nuetlla) – all rolled into one tasty little bite. The only thing to be aware of – really punch your thumb down hard in the middle. I didn’t intent enough on my first batch so I didn’t really have a cute little home for my Nutella. Other than that, these are a simple and delicious treat. The perfect addition to any holiday goodie tray. 2. Weigh or lightly spoon flour into a dry measuring cup; level with a knife. Combine flour, sugar, cocoa, and salt; stir with a whisk. Beat butter with a mixer until light and fluffy. Whisk egg yolks together with espresso powder (if using). Add the yolk mixture and vanilla to butter; beat well. Add flour mixture to butter mixture; beat at low speed just until combined. 3. Turn dough out onto a sheet of wax paper; knead 6 times or until smooth and shiny. Roll the dough into 1-inch balls. Roll the balls in nuts, pressing gently to make sure they stick. Arrange balls 1 inch apart on baking sheets lined with parchment paper. Press thumb into center of each cookie, leaving an indentation. Bake, 1 batch at a time, at 350° for 10 minutes. Remove cookies from pans; cool completely on wire racks. 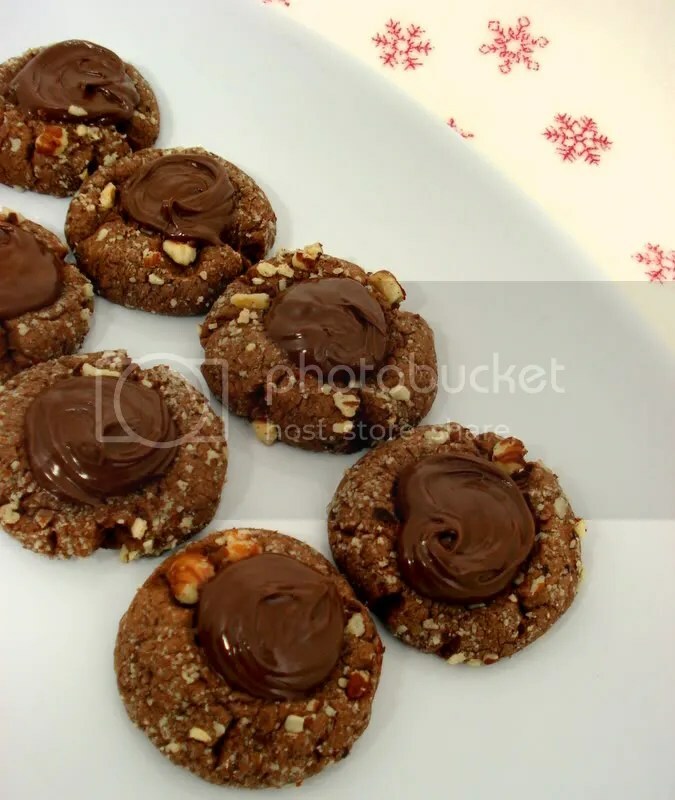 Spoon about 1/2 teaspoon hazelnut-chocolate spread into center of each cookie. One year ago: Eggnog Muffins with Nutmeg Streusel Topping. Such a great holiday treat! #1 Wow! 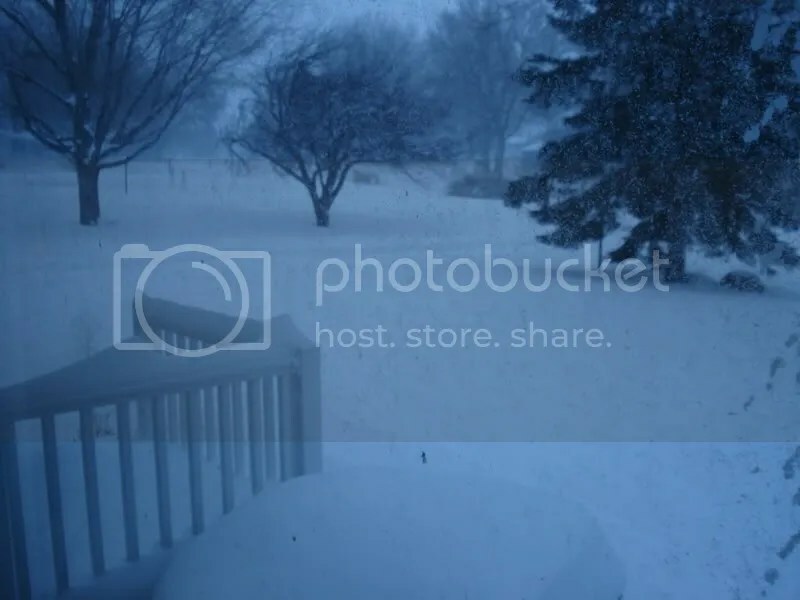 That is one heck of a blizzard! #2 WOW! Those cookies look scrumptious! Did I just read the word Nutella? YUMMMMM! And I would gladly trade places with you right now. It’s ridiculously hot in FLA! These cookies look delish! How long do they keep after being made? Hi! It’s been a while since I made these, but I’m pretty sure they kept for a good week or so in an airtight container. They are delicious. Enjoy!